It seemed like the perfect project for a scrappy binding. 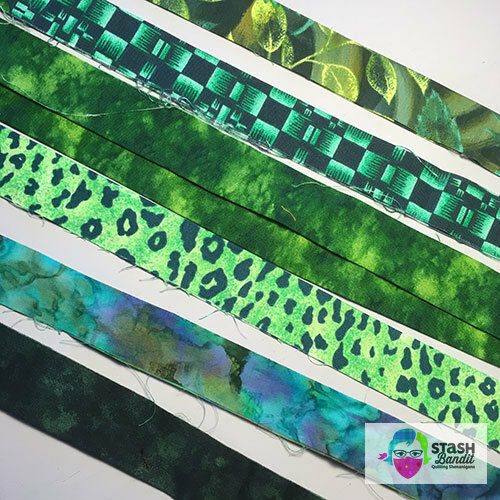 I found about six binding strips of various greens in the shoebox and dug around the studio until I found some long, skinny scraps to cut a few more. I joined them end to end with diagonal seams. 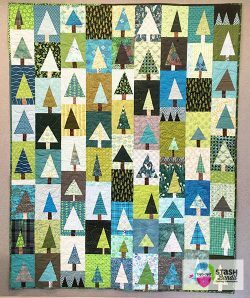 This quilt is such a jumble of all sorts of green and teal, and it mixes light, medium and dark values with such wild abandon, that I think it can support a binding with a similar personality. This time I just let them be whatever length they were and it seemed to work out all right. I cut my binding strips 2-1/4″ wide, or if I want a slightly narrower finish, 2-1/8″ wide. I used my Quilt Binding by Machine technique to finish it off, and I’m happy with the results. 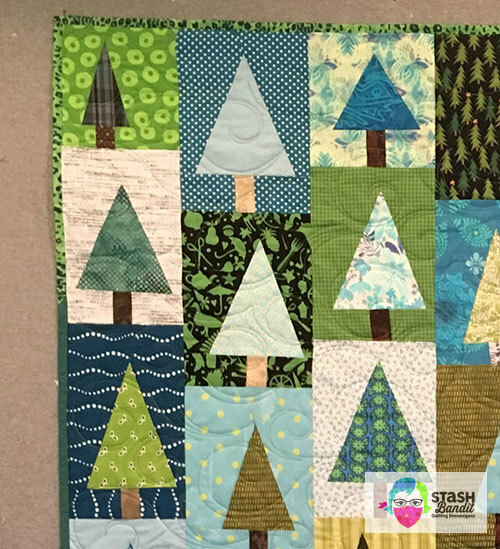 Be sure to check out Amy Smart’s improvisational tree quilt block tutorial. She’s over at Diary of a Quilter. It’s a brilliant method and this is the second quilt I’ve made from it. Here’s the first one. 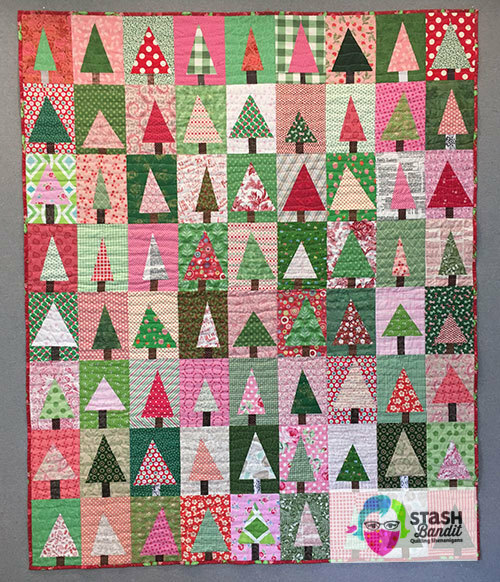 Besides the colors, the main difference is that I lined up the blocks and the rows in the pink and green version. 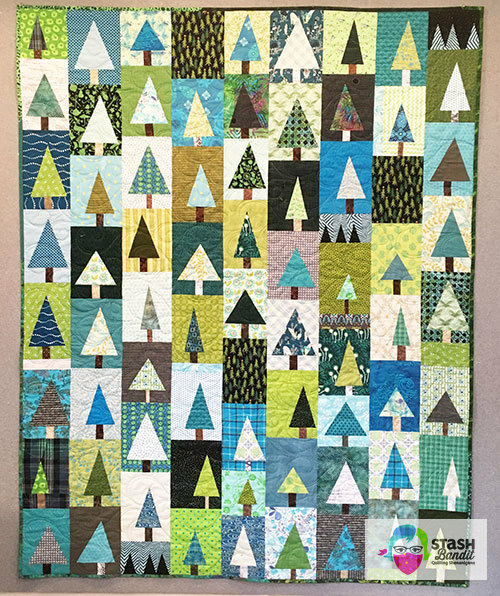 In the blue and teal quilt, there are vertical rows but the blocks within the rows are staggered for interest. I can’t remember ever making a quilt twice. This may be the only time! If you try these blocks, you’ll see. They’re addictive. These quilts are part of two different trunk shows. 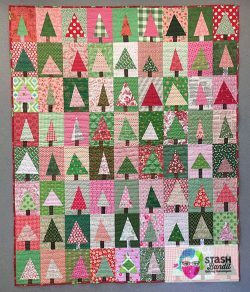 They work well in Make Extraordinary Scrap Quilts, but they’re also a good fit for my Jingle Bells trunk show of Christmas quilts. I’d love to bring a program to your quilt group. Get in touch today! 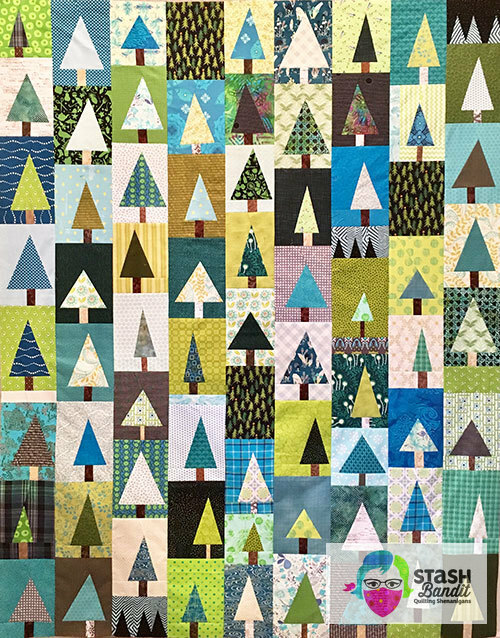 I like both of your tree quilts but the blue and teal one is my favorite. I think the staggered setting is more natural,like trees in a forest! Thanks for all the helpful and interesting things you put on your blog. I look forward to them. 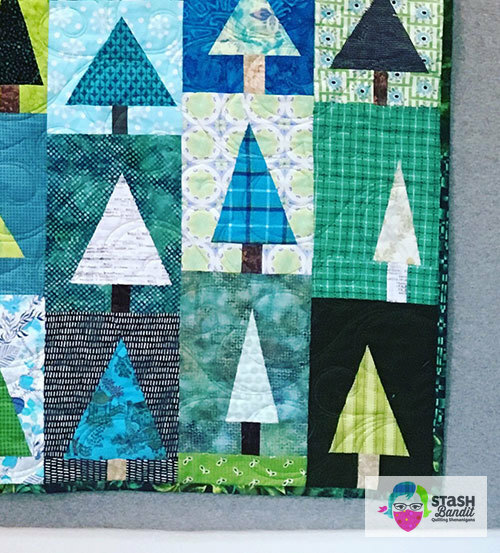 I like both of the tree quilts. Hi Jan, thanks for your comment and your kind words! I’ve heard about Donna but haven’t had a chance to see her programs. I hope to catch one someday. I’m speaking in Belleville and Wichita this year, and twice in the KC area, so I’m excited to meet some Kansas quilters in the process!